What's my skin type? One of the keys to having beautiful skin is to accurately know what your skin type is so that you can care for it accordingly. Way too often, people begin a skin care regimen using products that are not designed specifically for their skin type and instead of improving their skin condition, they actually worsen it. 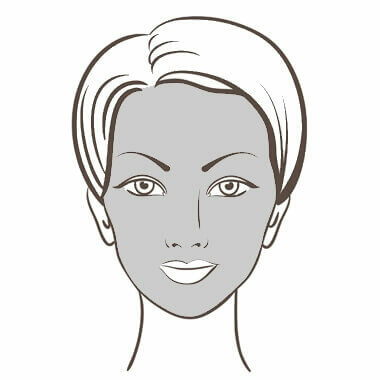 Below you will find a list of seven different skin types to help you find your skin type. More often than not you will fall into one category; however in some cases you may overlap into another skin type or two. But that’s OK, because everybody’s unique. Balanced skin/Normal skin is neither too dry nor too oily. It’s evenly toned, free of blemishes and has normal sized pores. Balanced skin is soft and supple to the touch and usually requires minimal attention. Dry skin lacks natural moisture and oil. The skin appears flaky or scaly with a rough texture and is more prone to the rapid development of lines and wrinkles versus other skin types. Oily skin has overactive sebaceous glands which will give the skin a slick, shiny appearance within and hour after cleansing. Oily skin usually has medium to large sized pores and may or may not be prone to the development of acne. 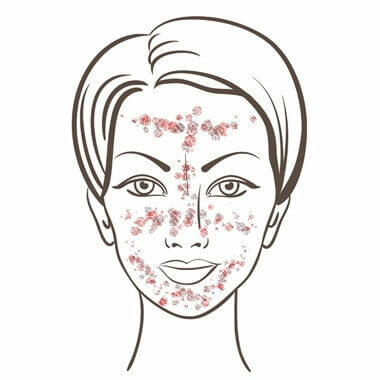 If your skin is oily, it doesn’t necessary mean that the skin will develop acne or pimples, but the pores can easily become clogged. One great benefit to having oily skin is that is not prone to aging or wrinkles and will remain younger-looking and supple over time. Combination skin is a result of two skin types occurring on the face. 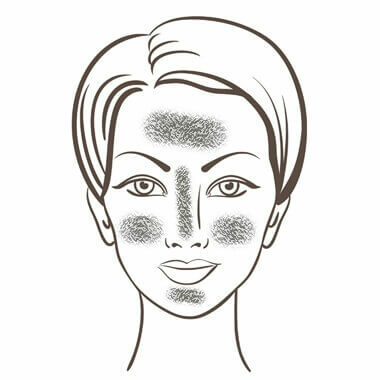 With combination skin there will be both dry and oily areas. The T-Zone is commonly oily, with enlarged pores that may develop blackheads and minor breakouts, while the cheeks and neck typically dry, with possible flakiness. Sensitive skin frequently reacts negatively to most commonly known skin care products, mostly because of the product’s synthetic ingredients, fragrances, alcohol and artificial colors. These ingredients will cause the skin to develop irritated rash like symptoms and excessive redness. In some cases sensitive skin overreacts to sudden changes in the temperature and can sunburn easily. Mature skin usually develops a thinner texture and lacks moisture. It shows visible facial lines and wrinkles and in some cases sun damage, depending on you skin exposure. Environmentally damaged skin shows visible deep lines and wrinkles, hyper-pigmentation, rough texture and an uneven skin tone. These characteristics could be a result of sun damage, pollution or neglect in properly caring for the skin.